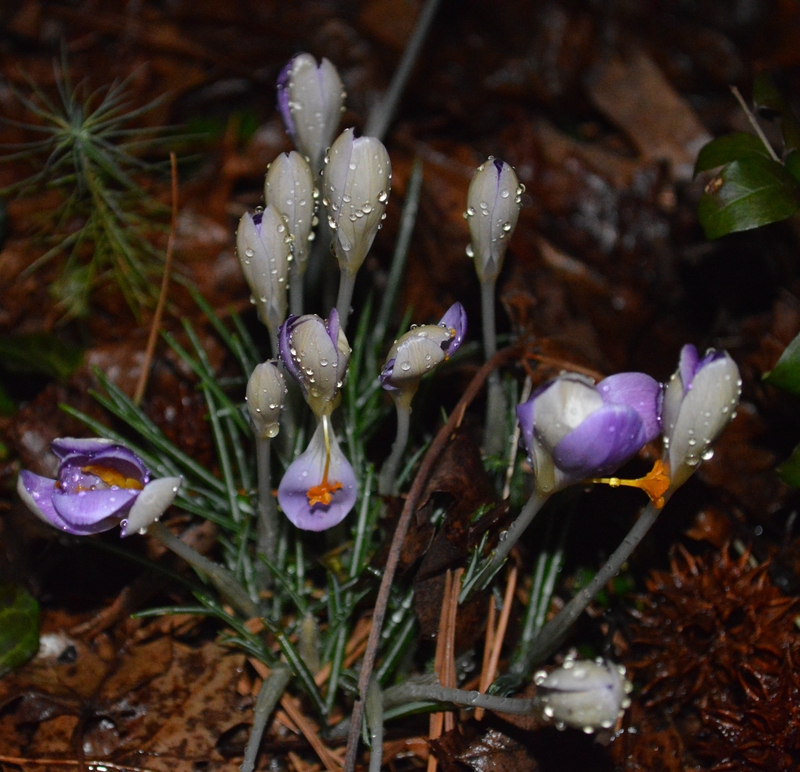 Daffodils and crocuses are popping up in my yard. Yay!! It’s been a tough winter in Virginia Beach. Frigid temperatures snow, snow and more snow. So these little harbingers of spring showing up in February are more than a joy to behold. Makes me want to lighten up on the heavy menus of winter comfort food. A little bragging here. . . I make some mean seafood stews and soups – bouillabaisse, cioppino, New England fish chowders and a simple chowder that makes good use of what’s on hand, sort of a not so New England chowder. Yes, I do make my own fish stock. Come on, I live by the ocean. It’s nothing to go down to the marina and pick up a couple of pounds of fish bones or fish heads for stock. It’s very inexpensive and when tossed into a soup pot with some veggies and herbs, simmered for a while then strained it’s a no brainer. The result is such an ocean fresh stock it’s hard to resist. 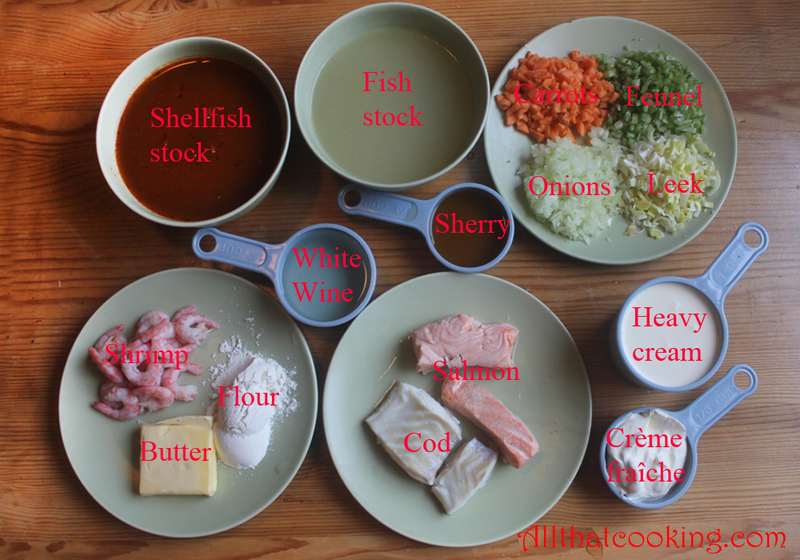 Today’s post is truly a fish soup to die for. Oli always trumps me. He makes a stock from shrimp shells that is amazingly rich, vibrant and well , to die for. Just collect and freeze the shells whenever you’ve got them and your stock is just a freezer away. By the way, this stock can be made with a combination of shrimp and lobster shells as well. For this recipe, a boxed or canned fish stock will work (or head to the fish market and do as I mentioned above). However, do make that shellfish stock. It’s amazing what a few pieces of fish, and some shrimp floating around in this stock will do for your winter weary soul. 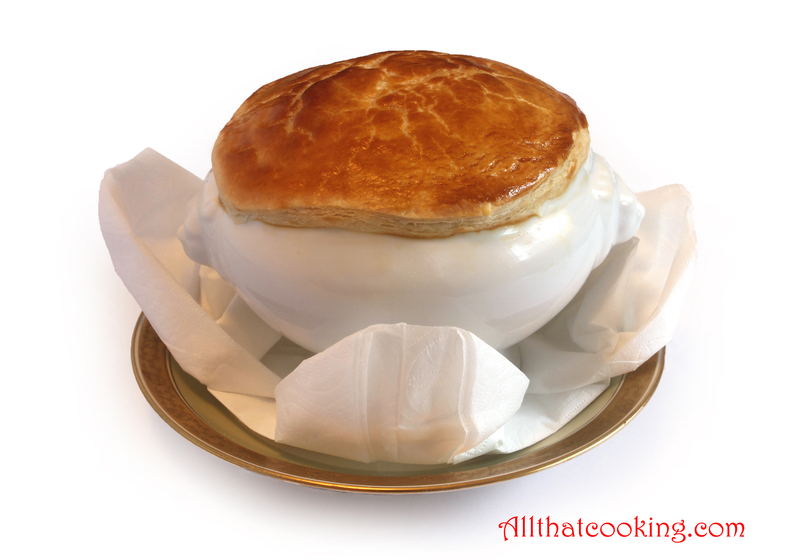 The fun part is breaking through the flaky pastry crust and getting that first heavenly waft of fish soup to die for. It’s an instant cure for a winter weary soul. Spring is around the corner. Make the shellfish stock first, as it is an important component of the soup. It can be used immediately or refrigerated overnight. 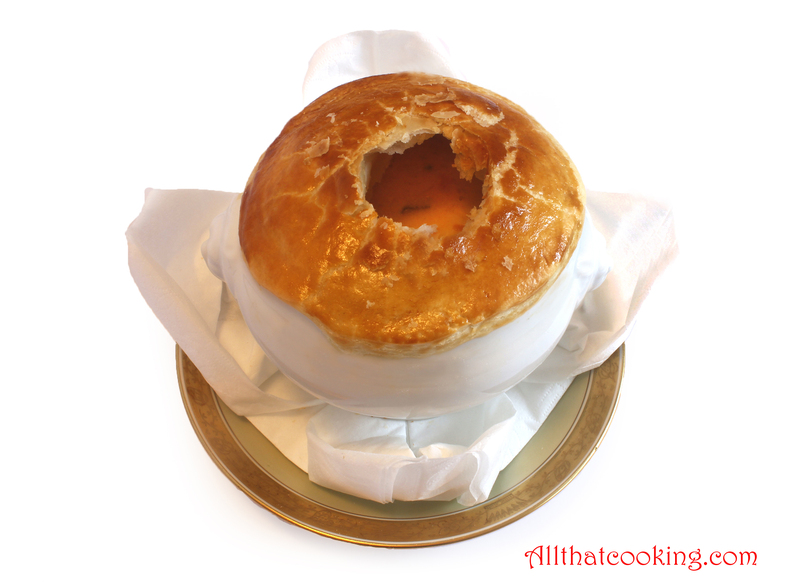 The soup itself needs to be cold, or at minimum, room temperature before you top it with the pastry and pop it into the oven. You will need 4 ovenproof soup bowls. I used 2-cup bowls. 1. 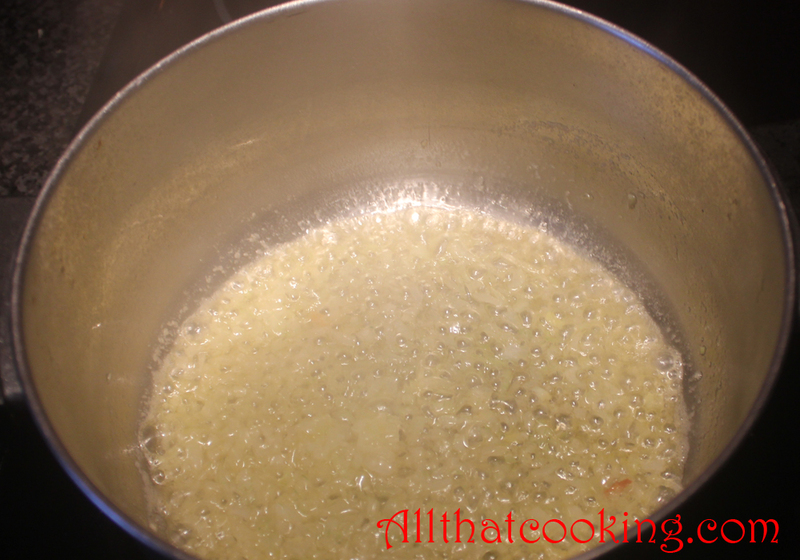 In a large soup pot, cook onions in butter over medium-high heat until onions are translucent. Pour in wine and cook until liquid evaporates. 2. 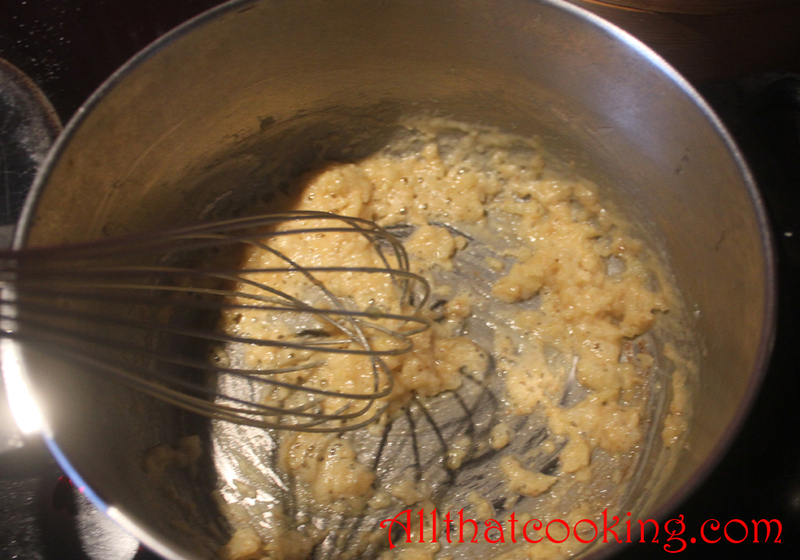 Whisk in flour and stir until combined with onion mixture. 3. Pour in shellfish stock, fish stock, cream and plop in crème fraîche. 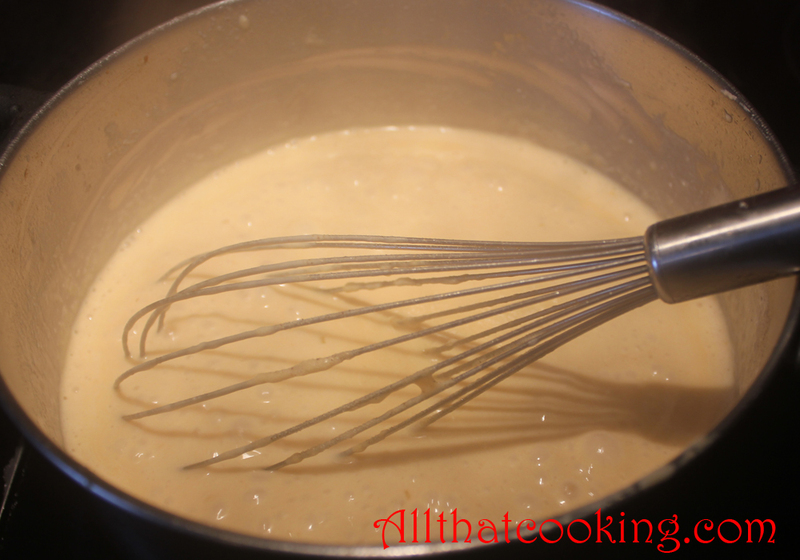 Whisk continually while bringing to a boil over medium high heat. Add salt and pepper. 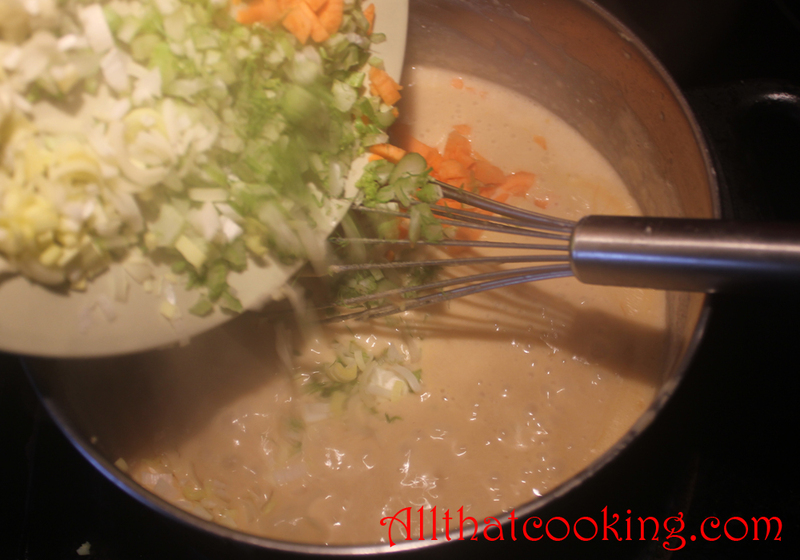 Decrease heat to medium and simmer for 5 minutes while gently whisking. 4. Remove pot from heat. Toss in carrots, leek and fennel. Bring to room temperature. Cover and refrigerate for at least 6 hours or overnight. 1. 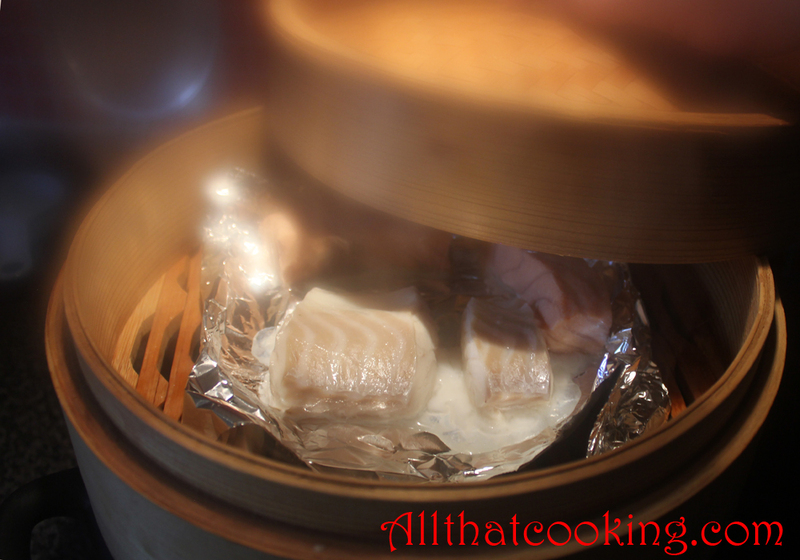 Steam salmon and cod until tender flaky. Or you can simply drop the fillets into salted, boiling water and cook until tender flaky. 2. When cool enough to handle, cut fish into bite size pieces. 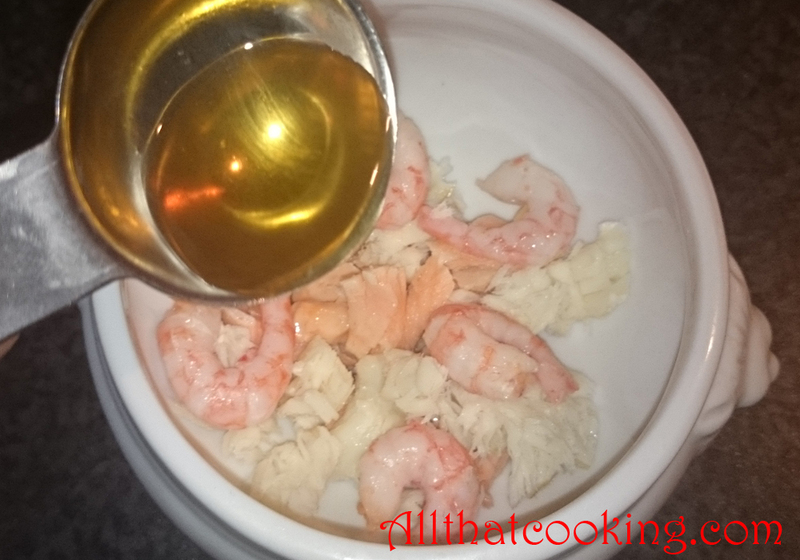 Divide fish and shrimp into four soup bowls and add 1 tablespoon sherry to each bowl. 3. Stir 1 cup of the cold soup into each bowl. 5. 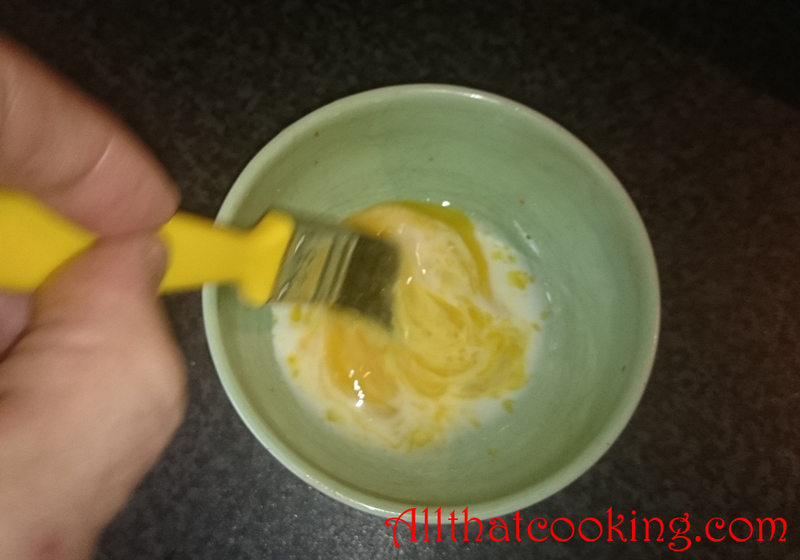 In a small bowl make an egg wash by mixing egg yolk and milk until blended. 6. Brush the rim of each bowl with egg wash.
7. Fit pastry round on top of each bowl. 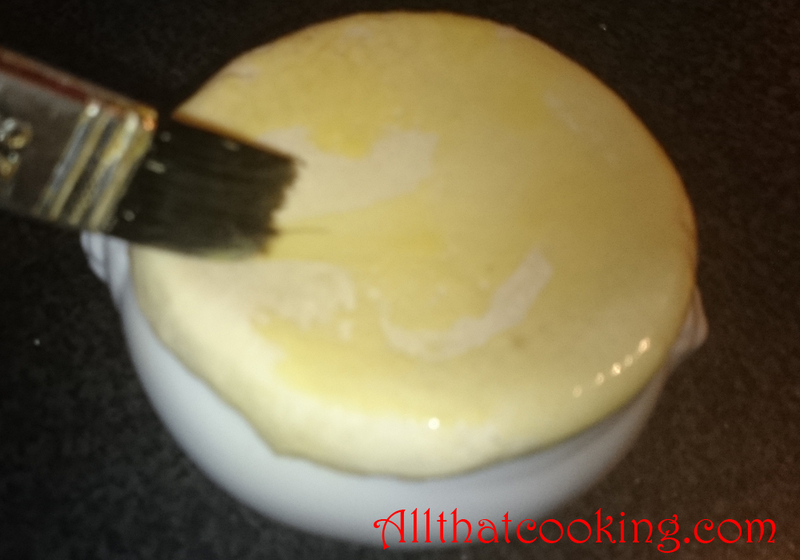 Gently press the edges to make a tight seal. Brush pastry with egg wash.
8. Bake in preheated oven 18-20 minutes – until pastry is a lovely golden color. 9. Serve immediately. Beware of the hot steam that will rise when you poke into the pastry. 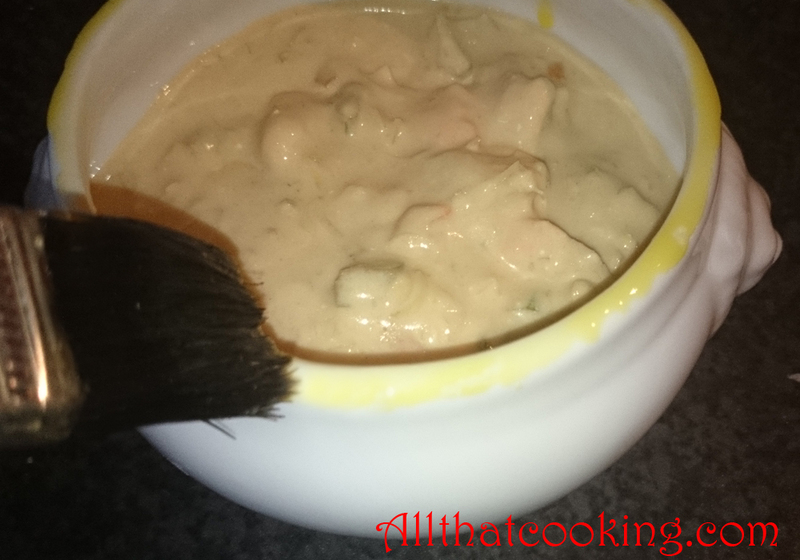 Gallery | This entry was posted in Main Dishes, Soup Stocks, Soups and tagged fish soup, fish stock, puff pastry topped fish soup, shellfish stock. Bookmark the permalink. I am familiar with all kind of fish soups, except for shellfish stock soup. But it certainly looks like a “Fish Soup to Die For” But because i’m on a diet i have to exclude sugar and white flour from my food and i wonder if i can replace the white flour with something else. Dagrun and i are looking forward to this soup. Strange weather all over the world, glaciers are melting faster than expected here in Iceland. Hi Steinar. Thanks for your comment. I know you are a gourmand and its really fun you cook our dishes. I know of your diet and I will recommend you following dishes from our blog that have no carbs and are healty and very tasty. There is sugar in the Adobo recipe and its just to skip that without a problem. This is all very healthy dishes.